Sky Transport Solutions will get you your Oregon PUC permit quickly and at the best price, plus we provide realible and friendly service, with real office staff support. The State of Oregon requires trucking companies to get an Oregon Permit separately just for Oregon. The bond requirement makes the process a bit lengthy. 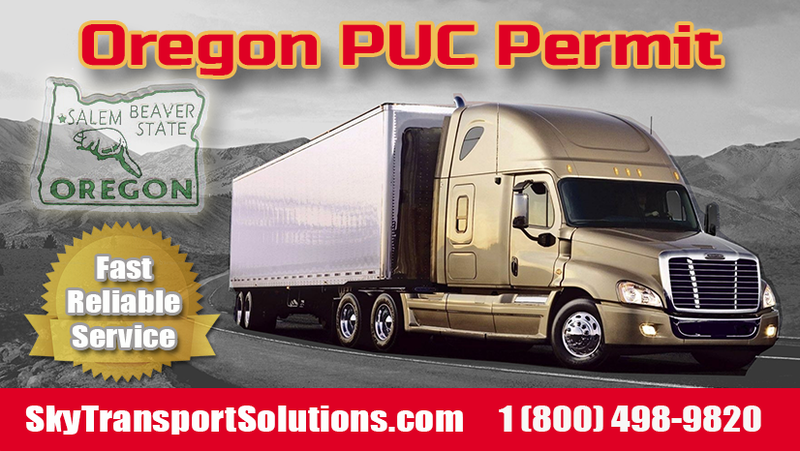 However our skilled and experience staff is fully trained to help your trucking company to get the Oregon PUC permits. In Oregon trucks will a PUC card (number) and a log book to show fuel usage. You then pay the fuel taxes either monthly or quarterly. Send us your Telephone Number and we will contact you and explain all our services and answer any questions you may have about Oregon PUC Permits. Send us your Telephone Number and we will contact you and explain all our services. We will be glad to answer all your questions regarding Oregon PUC Permit.